Remo 22 6 Inch Frame Drum Set FIBERSKYN Heads 6 Total. Remo Frame Drums with FIBERSKYN Heads 6 Pack 8 10 12 14 16 and 22" HD-8500-06. The Fiberskyn frame drum features Remo's pre-tuned technology providing warmth and projection when played with a hand or mallet. 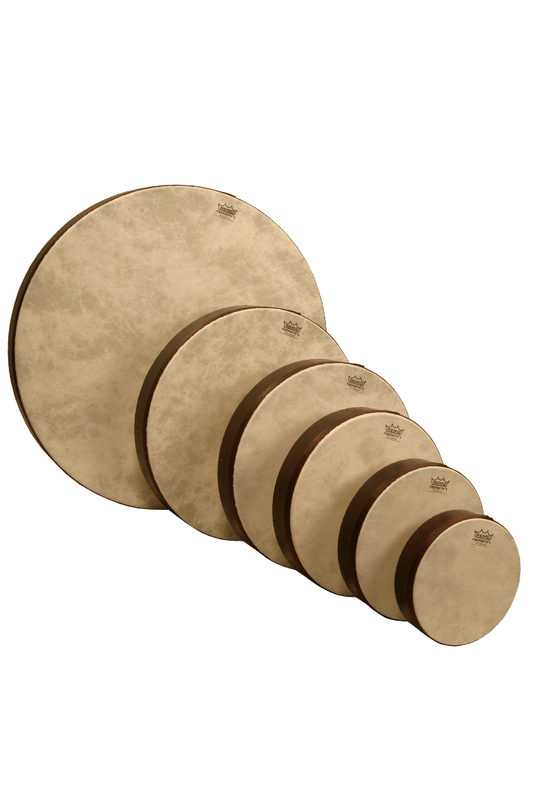 Constructed with an Acousticon drum shell and a pre-tuned Fiberskyn drumhead, these frame drums produce excellent projection and enhanced low-pitched fundamentals typically found with traditional wood shell drums, making them ideal for professional and recreational applications. Available in sizes: 8" - 22". I received my order yesterday. The order arrived quickly, and was packed well. The drums are beautiful. We played them last night, and are very happy with them. You have a satisfied customer, and I’ll be back when I’m ready to buy more musical instruments.